A word cropping up frequently in tributes to Keith Flint is 'gentleman' and that is how the owner of a Wicklow pub remembers him. 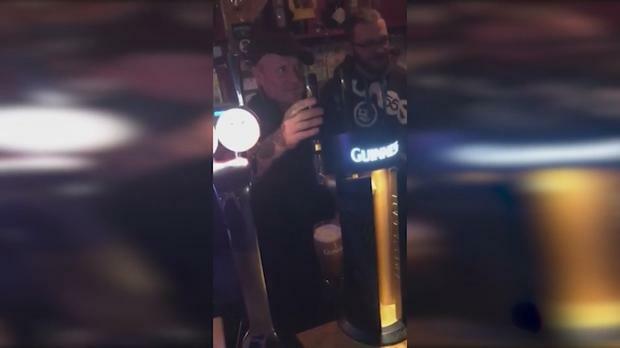 The Prodigy frontman, who died on Monday at the age of 49, spent an evening at Edward Heffernan's Black Toms Tavern in Tinahely in September. "He was in the area attending a wedding at a wonderful local wedding venue called Ballybeg house," Edward tells Independent.ie. "The wedding party came to the pub the night before the wedding for a few hours with Keith. It took us a while to figure out who he was as he looked familiar to everyone." Keith owned a small pub in the village of Pleshey in England. He bought and restored The Leather Bottle in 2014 so he was a dab hand at pulling pints in Wicklow. "He was more than happy to chat with customers and pose for photos," adds Edward. "He pulled a few pints of Guinness to the delight of everyone. He chatted about running a pub himself and it showed as he pulled some good pints! "He was a true gentleman in every sense of the word. He brought laughter to us all that night. He spoke about visiting us again as he loved the area." The star, who lent his vocals to the The Prodigy's breakout track Firestarter, which brought the band global recognition, was found dead at his Essex home on Monday morning. His band mates said he took his own life. Celebrities, friends and fans have been paying tribute on social media.